21,243 views. This entry was posted on Saturday, October 18th, 2008 at 12:59 pm	and is filed under American, Bar, Breakfast, Brunch, Burgers, Casual, Chain Restaurants, Coffee, Comfort food, Creative Dishes, Dine Out Vancouver, Family, Favorites, Food Photos, Fun atmosphere, Hamburgers, Kitsilano, Large Groups, Large Portions, Lunch, Modern Decor, Pasta, Reasonably Priced, Restaurant, Shrimp, Trendy, Upscale, Vancouver, Vancouver Restaurants, West Side. You can follow any responses to this entry through the RSS 2.0 feed. You can skip to the end and leave a response. Pinging is currently not allowed. 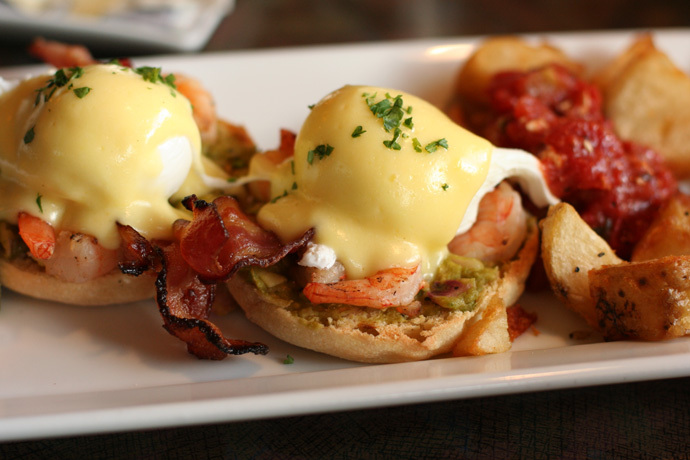 Today is my birthday, my birthday meal will be the California Eggs Benedict at milestone; i’ve had it before at Brunch and it’s nothing short of amazing.